Tags: Bridal, Fawn, Full Sleeves, Ivory, Lehenga, Walima & Second Day. Ivory white and fawn bridal dress for walima function.Fully embroidered full sleeves blouse. 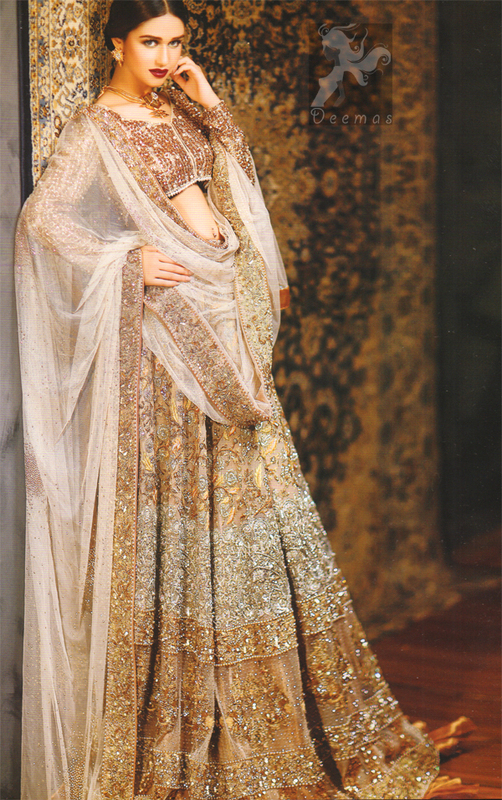 Lehenga features stunning embellishment. 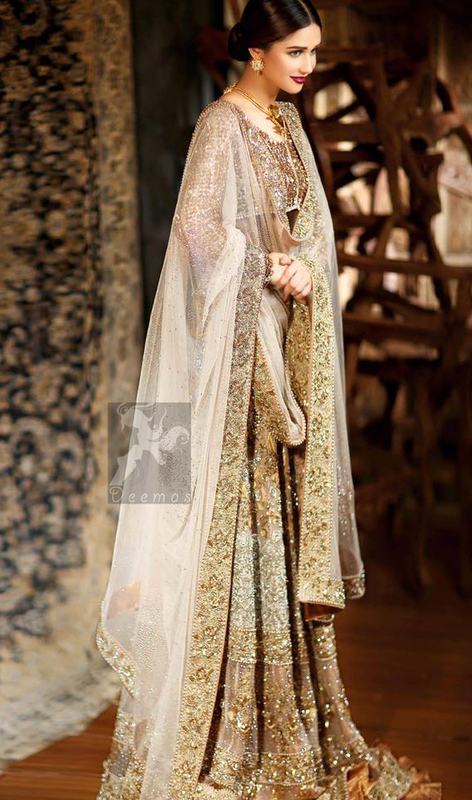 Embellished border is implemented on four sides of dupatta. 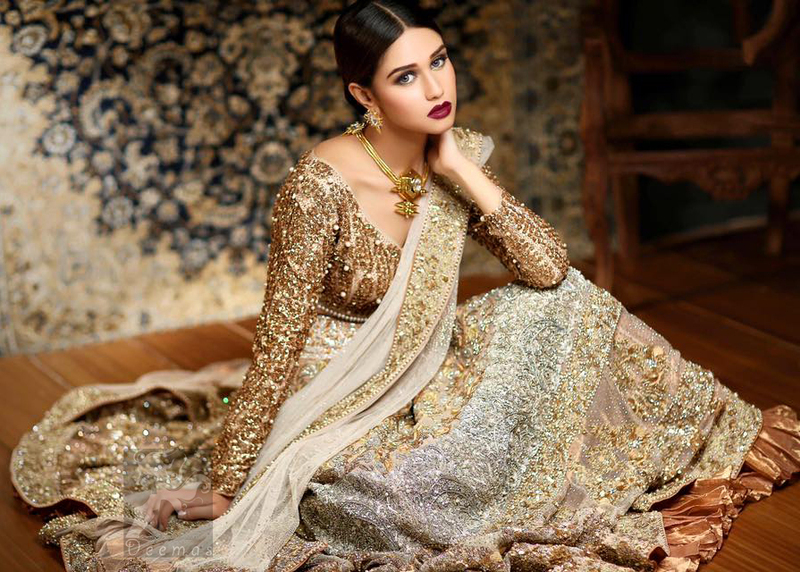 Crystal stones crafted all-over the dupatta.